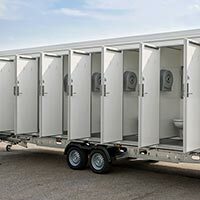 Our toilet cabin for 16 people is our biggest toilet solution. 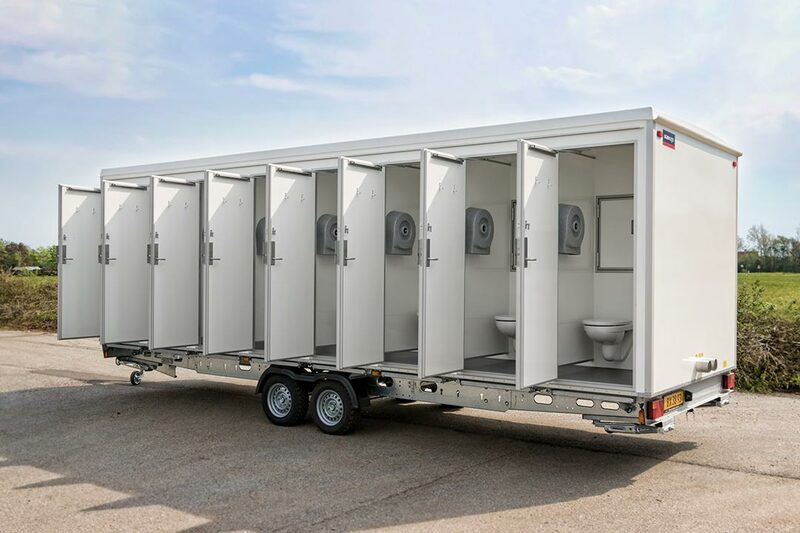 It consists of 16 separate toilets, each containing a toilet, hand basin, mirror, a hot air valve and a technical compartment. 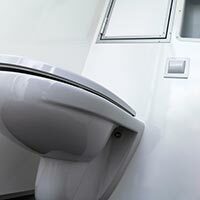 The cabin comes with flushing toilets with waste disposal units or water-saving vacuum toilets. 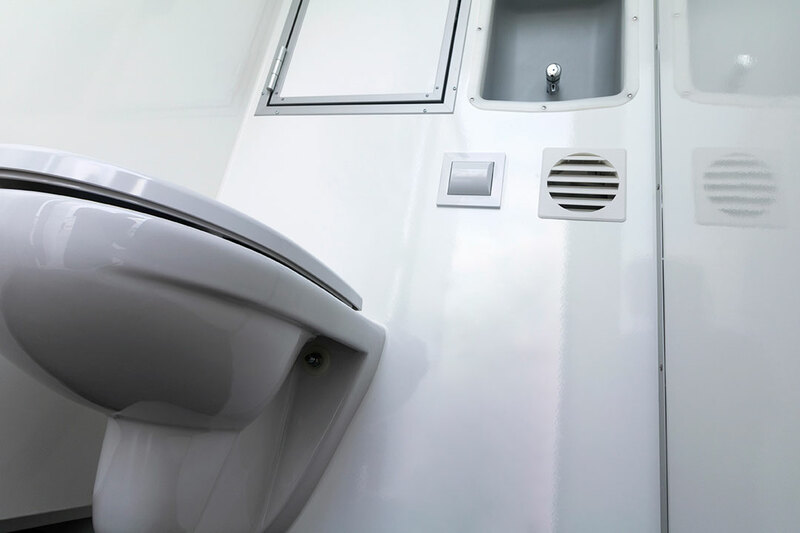 Read more under toilet types. 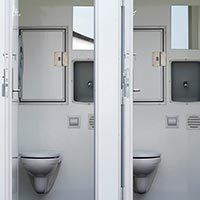 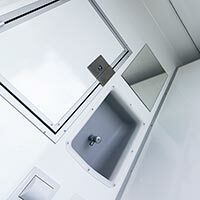 The toilet cabin uses "Spanish" partition walls and wall-mounted toilets for faster and more effective cleaning. 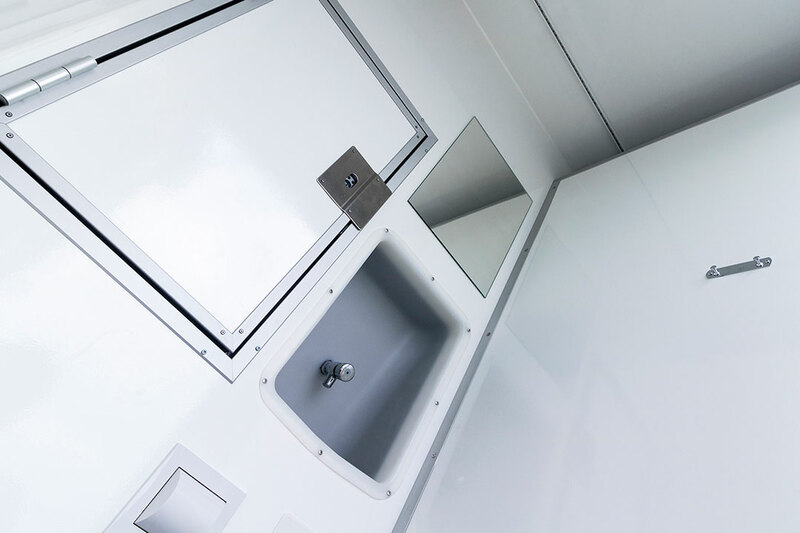 The cabin has a stylish and simplistic design, giving the user a feeling of space and comfort despite limited space. 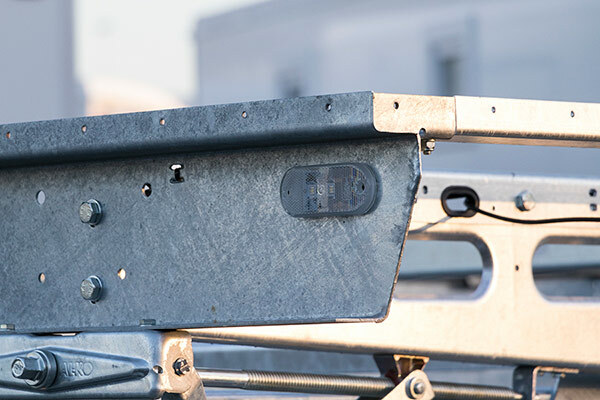 The cabin uses LED strips for a comfortable white and energy-efficient light. 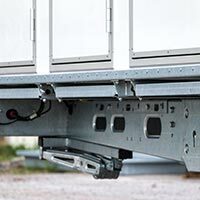 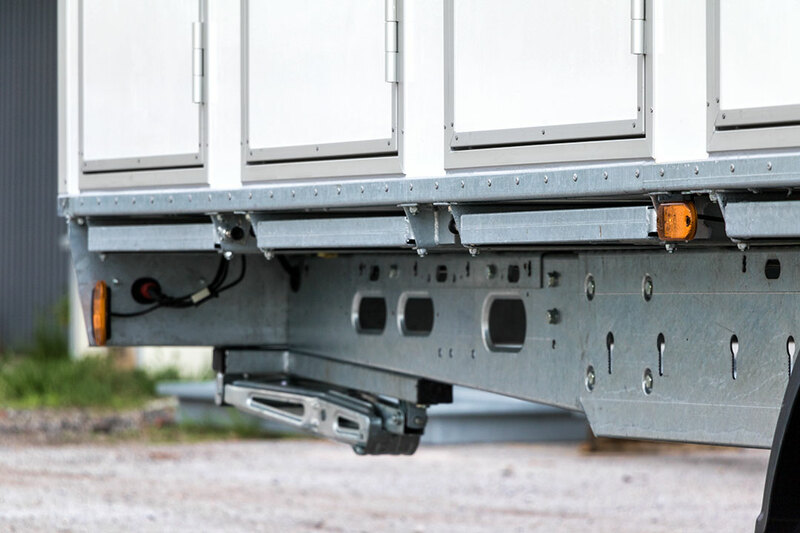 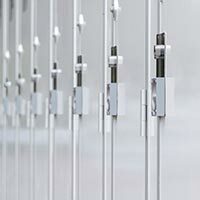 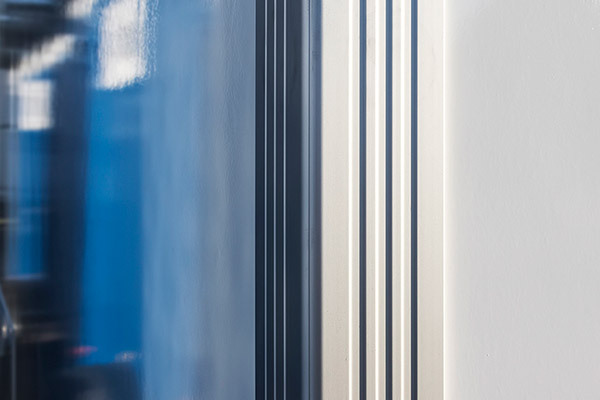 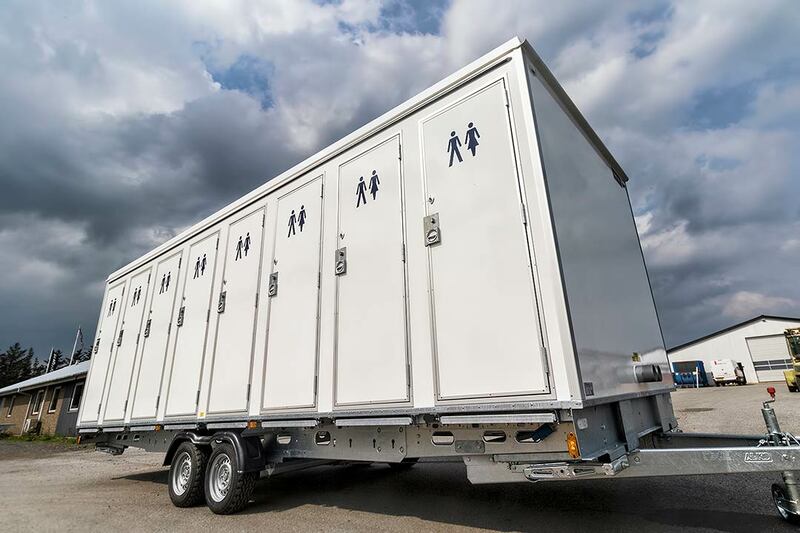 When a festival, concert or other event is held for a very brief and limited period, having reliable products that are easy to install is essential. 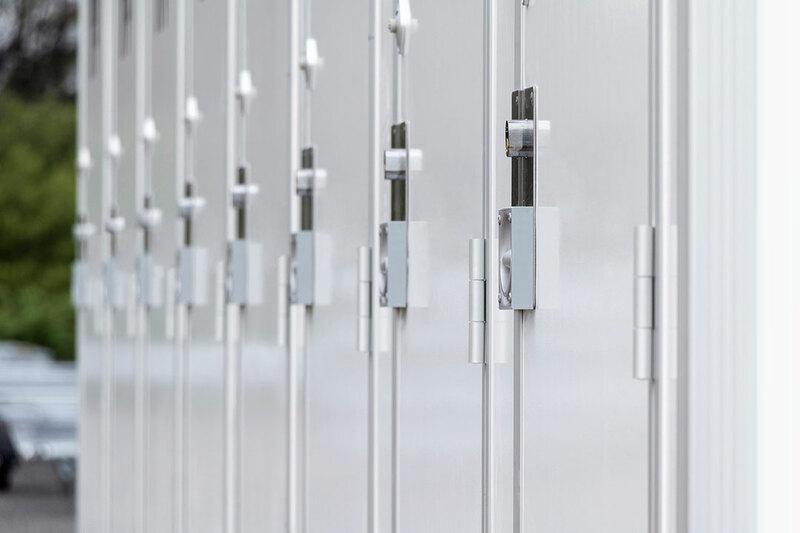 For every additional minute people have to wait in a queue, you lose turnover. 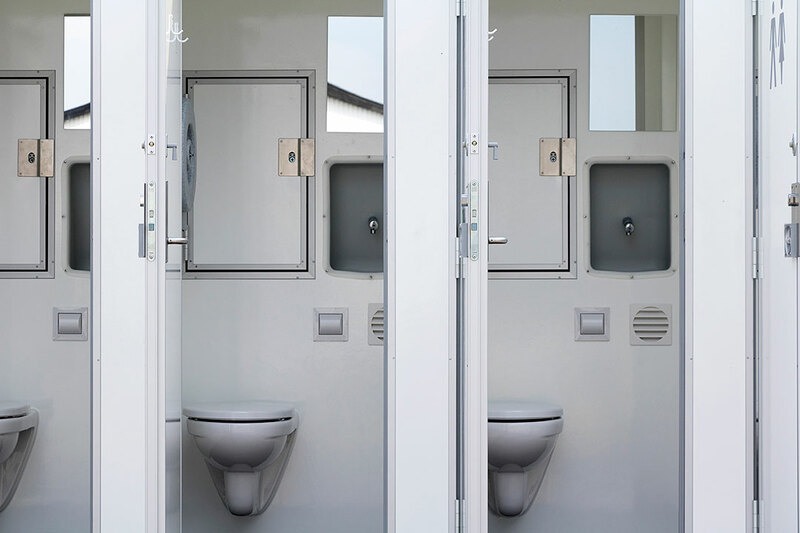 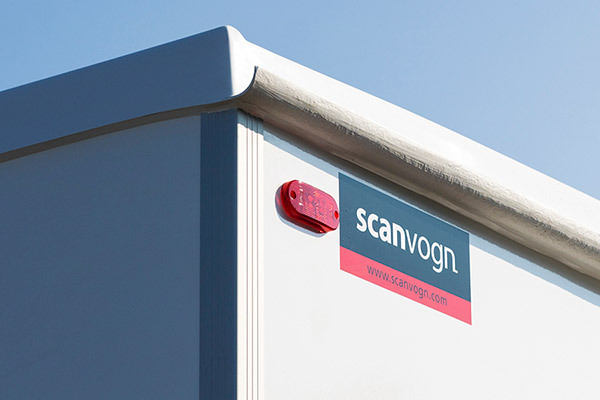 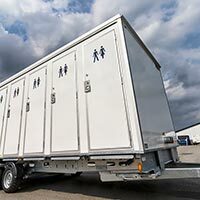 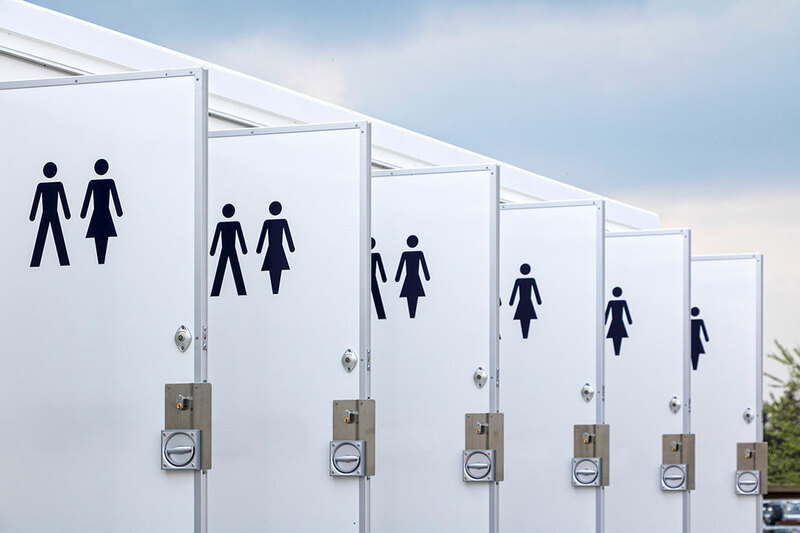 Our toilet cabins have been tested to the maximum at some of the biggest festivals in the Nordics.